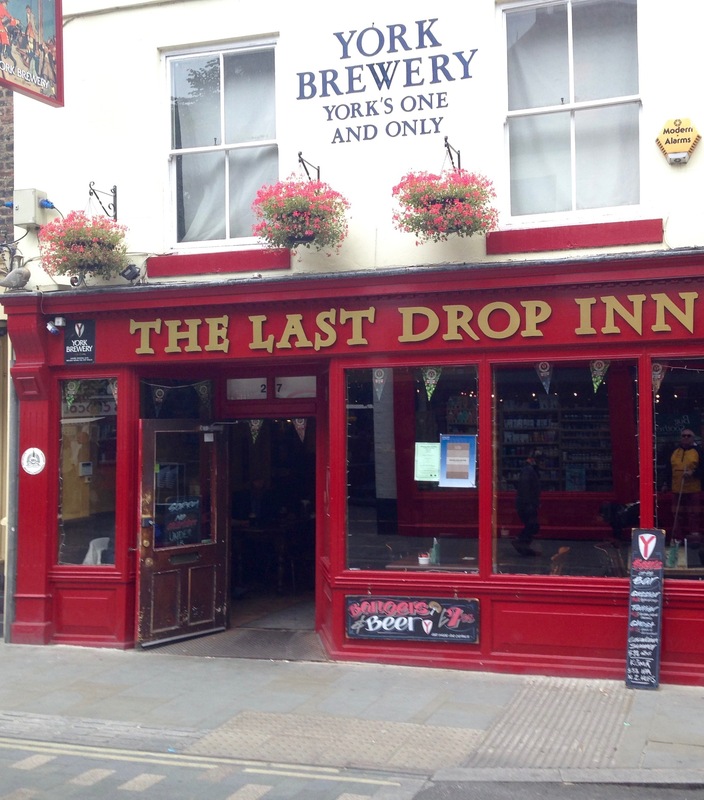 I’m a frequent visitor to York. I have friends and family there. But I never fail to wander around the walled city, stopping at familiar places and discovering new sights. Here in historical order are a few of the places I enjoyed on this visit. St Mary’s Abbey was a 10-acre complex founded in 1088 by Benedictine monks on the north bank of the Ouse River. 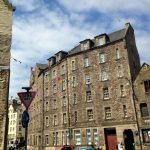 At its height there were 40-60 monks, an abbot, 50 students, and sufficient lay servants to look after the fish house, brewery, mill, bakery, granary and barns. With so many blessings, it is understandable that some monks became lax in following strict Benedictine Rule. In 1132, Prior Richard and 13 monks demanded the rule be applied. Riots broke out among the monks. Prior Richard and his men left the Benedictines, joined the extremely strict Cistercian order, and founded Fountains Abbey. Neither group survived the Henry VIII’s Dissolution of Monasteries. St Mary’s became the king’s palace before falling into ruins. 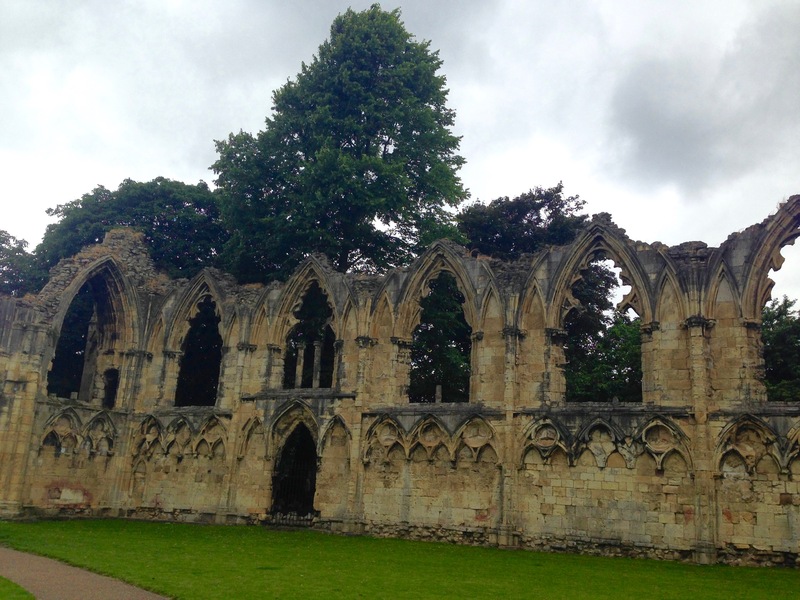 In the 1820s the Yorkshire Philosophical Society excavated the ruins and turned the grounds into the Museum Gardens. The surviving abbey walls built in the 13th century are the most complete set of abbey walls in the country. York Minister towers above the abbey ruins. More on this amazing building in the next blog. On the other side of the Minster, St. William’s College has a lovely tea room and meeting rooms. 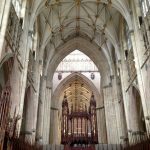 It dates to 1465 and was named in honor of Archbishop William of York. Originally, the building served as a sort of dormitory for 23 chantry priests and their provost who were attached to chantry chapels at the Minister. Every day the priests sang a stipulated number of masses for the benefit of a deceased donor who provided for them in his will. The donor hoped these masses would bail him or her out of purgatory and allow entry to heaven. This practice stopped when Henry VIII dissolved the monasteries. In 1548 St. William’s underwent a makeover to become a private house. 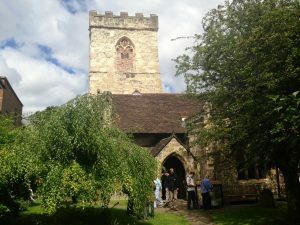 Holy Trinity was a new discovery for me, tucked away behind a very busy shopping street. 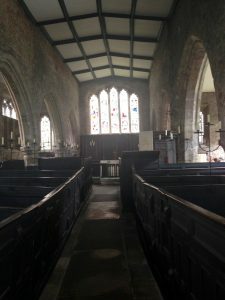 The 15th century church is no longer active and is administered by the Churches Conservation Trust. Two interesting features caught my eye. The East Window which was donated by Rev John Walker – I’ve never thought of the rectors donating windows before. Didn’t think they made enough money. Holy Trinity also features very nice box pews. I’ve seen these pews in other churches, but the ones in Holy Trinity are particularly nice. Box pews were common from the 16th-19th centuries, so people could sit while sermons wafted over their heads. Many times the pews were personal property. So, when someone told a visitor ‘you’re in my seat,’ they meant it literally. Fossgate dates to Roman times when it was the south easterly way out of York. The Vikings created the street by building a wooden bridge over the River Foss. Fossgate functioned primarily as a fish market until the early 20th century when it became a fashionable area. 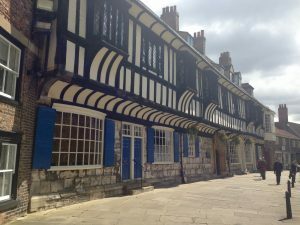 Today it has become a place for dining, shopping, and visiting York Brewery. 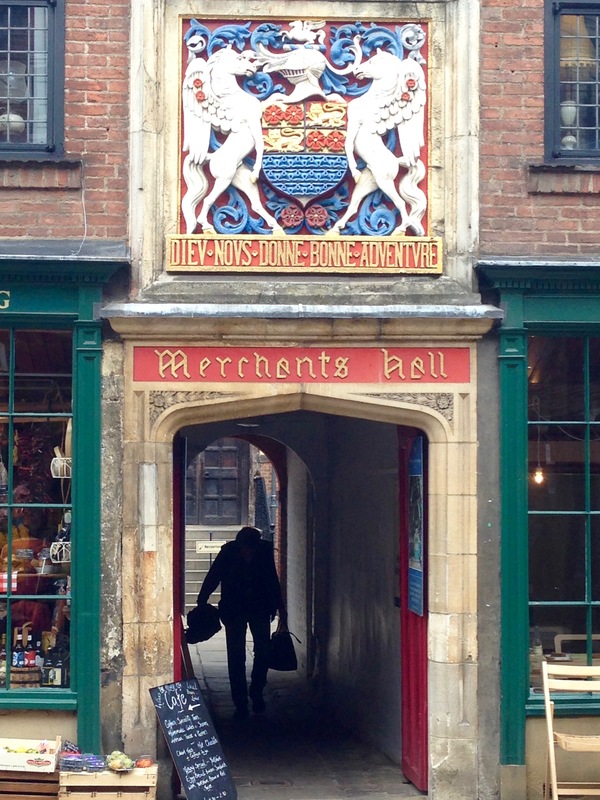 The main entrance to the Merchant Adventurers’ Hall is off Fossgate, through the archway with the coat of arms for the Merchant Adventurers of England above it. In 1357 a number of men and women formed a religious fraternity to build the hall which was completed in 1361. 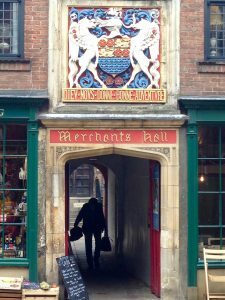 They also set up a guild comprised mostly of mercers* and used the hall to transact business, socialize, look after the poor, and meditate in a private chapel. *Mercers dealt in fine textiles such as silk and velvet. I don’t know about you, but after all that touring, I need a snack. 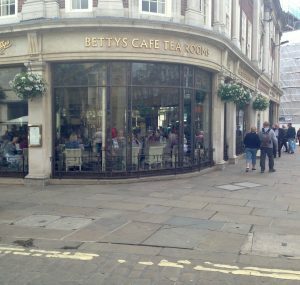 And where better to go than Bettys Cafe and Tea Rooms in St. Helen’s Square, a York landmark since 1936. 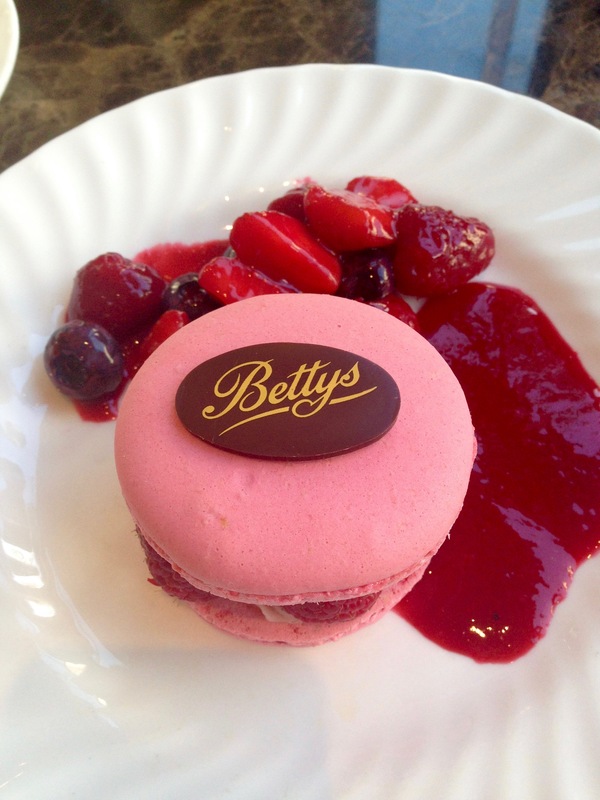 Frederick Belmont, a Swiss baker, founded the first Bettys in Harrogate in 1919. 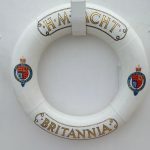 He did so well, that in 1936 he was able to travel on the Queen Mary’s maiden voyage. Belmont was enchanted by the art deco decor, and commissioned the ship’s interior designers to create a similar venue out of a run down furniture store he had purchased in York. 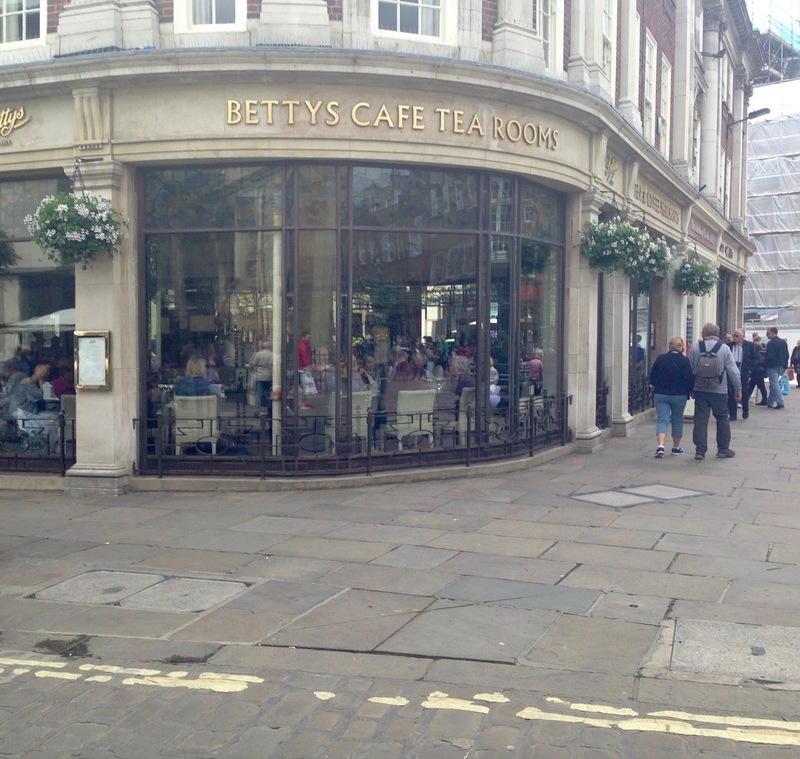 Bettys was an instant hit. During World War II, the Bettys Bar downstairs was a favorite destination for airmen stationed near York. Using a diamond pen, many engraved their names on a mirror which is still there. You may be wondering who the original “Betty” was. No one knows. 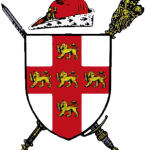 Featured Image: City of York Coat of Arms, Public Domain, Wikimedia Commons. 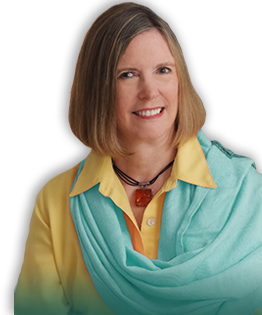 All Other Photos by Author. All Rights Reserved. David Ross. St Mary’s Abbey, York Britain Express.